Learn the Ukulele with us online! We teach the ukulele from beginner to advanced level via Skype or Zoom. All Your Space Music Lessons teachers have been DBS checked and selected based on excellent references so that we are confident of a great standard of tuition. 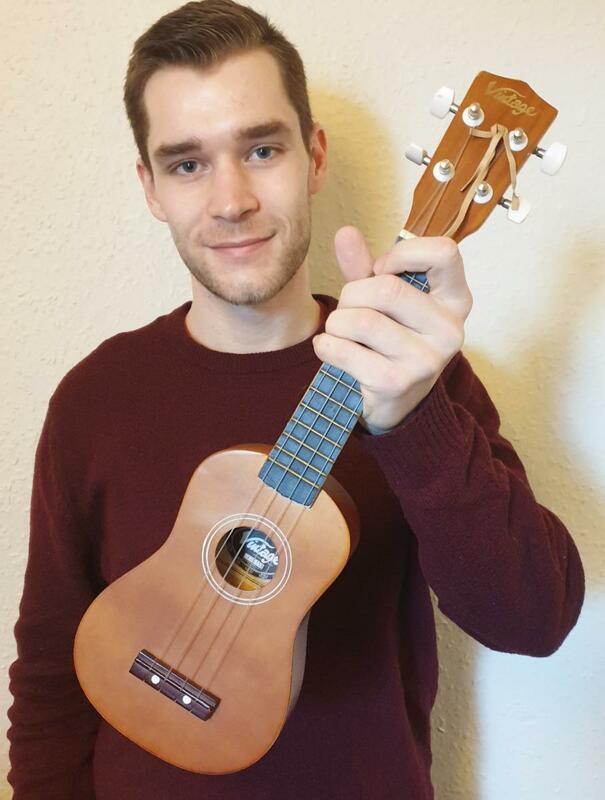 If you enjoy your 20 minute skype ukuelel lesson introduction, then we offer all our new pupils a welcome bundle to try a further 3 lessons for £10 each. Trying Skype music lessons is the first step, so give it a go, it could be the perfect way for you to learn a musical instrument.